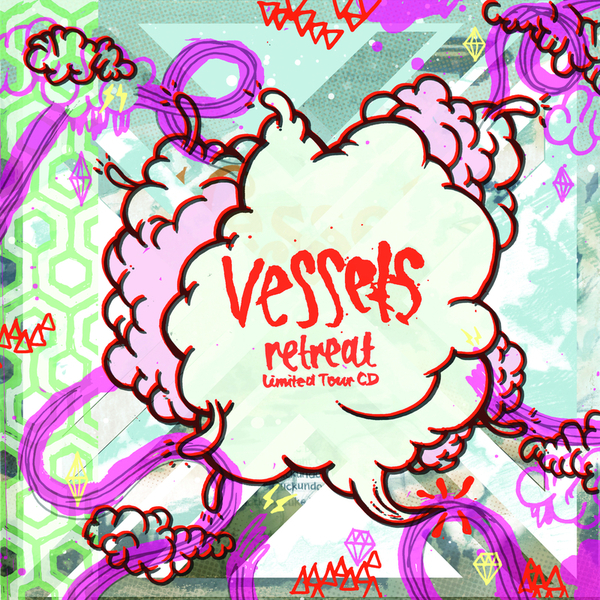 Originally released as a tour CD by Leeds quintet Vessels, Retreat features original material and remixes, infusing the band's intricate post-rock with a more firmly electronic sound. 'Walking Through Walls' is an exemplary clash between processed, hiccuping drums and organic instrumentation: the electric guitars are grand and sweeping while the acoustic instruments are skillfully and elaborately picked, and it's a similar combination that proves to be so captivating on 'Descent', but the Errors remix of 'An Idle Brain And The Devil's Workshop' adds an extra dimension to the band's sound resulting in a tight, math-rock glitchfest that's a little more direct. On 'Walking Through Walls', Bracken takes the helm, maintaining a grounding in song structure whilst adding dubstep-style sub-bass throbsand echo chamber drum programming. Another highlight comes from Brendon Anderegg's verdant forest-drone remix of 'Remain' which brings a discerning sense of ambience into play.